3. 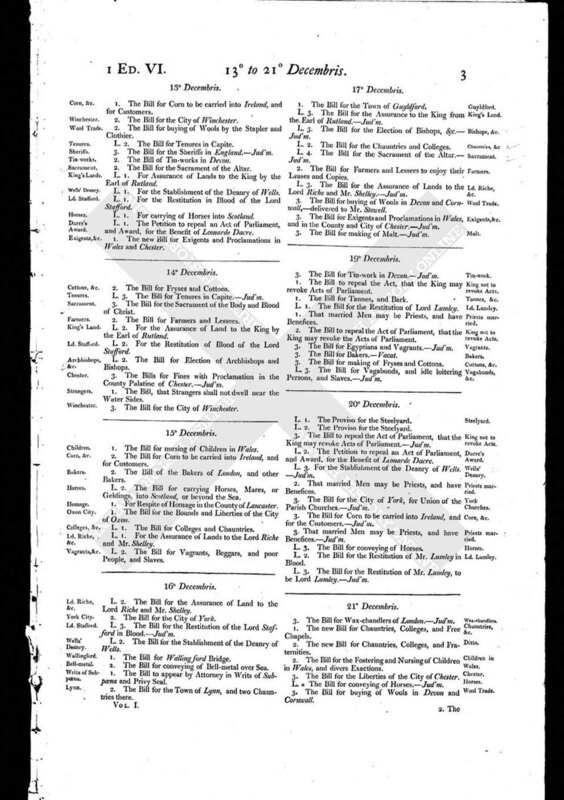 The Bill for Wax-chandlers of London. - Jud'm. 1. The new Bill for Chauntries, Colleges, and Free Chapels. 2. The new Bill for Chauntries, Colleges, and Fraternities. 2. The Bill for the Fostering and Nursing of Children in Wales, and divers Exactions. 3. The Bill for the Liberties of the City of Chester. L. * The Bill for conveying of Horses. - Jud'm. 3. 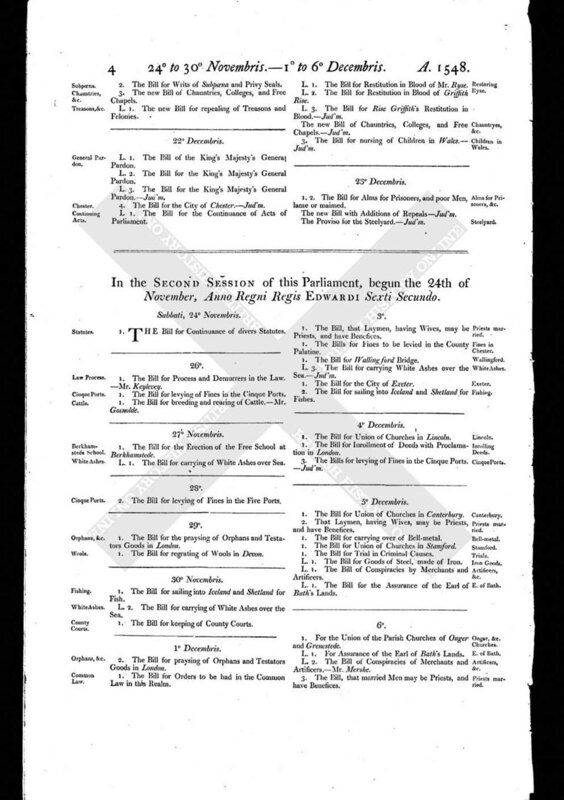 The Bill for buying of Wools in Devon and Cornwall. 2. The Bill for Writs of Subpoena and Privy Seals. 3. The new Bill of Chauntries, Colleges, and Free Chapels. L. 1. The new Bill for repealing of Treasons and Felonies.